Konami will merge its European operations and form a new UK HQ, leaving its base in Germany. 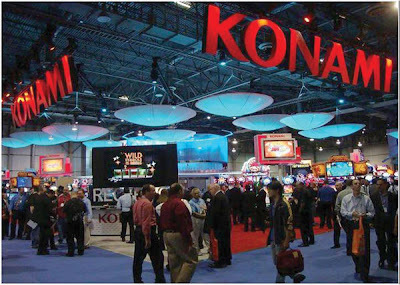 It is a part of a significant overhaul of the firm's European operations, which sees the Konami Digital Entertainment GmbH merge with Konami Digital Entertainment B.V. The firm will operate under the B.V. structure. The move will take place at the start of Konami's next financial year in April 2013. Konami say it is part of the company's ambitions 'to ensure each territory can provide a more localised service'. The firm's four local offices in France, Germany, Spain and the UK will retain their regional roles. And although the company is moving HQs, it will still have a significant German presence. "These are changes to match a very exciting and challenging time for video game publishers," said Konami President Shinji Hirano. "We want to show our commitment to the consumers in each territory by establishing close relationships that deliver what they particularly want and need, and to create rapport between us that benefits both sides." The move follows the news that Konami plan to open a new Pro Evolution Soccer studio in London.